Abusers can be hard to recognize since they don't advertise their destructive behavior. In fact, abusers are usually as smooth as butter. They do things that are sweet and loving. However, over the course of the relationship, these "loving" acts escalate into abusive behaviors. Be aware: some of the items on this list really are loving. It's when these behaviors are taken to extremes and used as manipulation or control that they become abusive. It's important to evaluate the results of these actions. 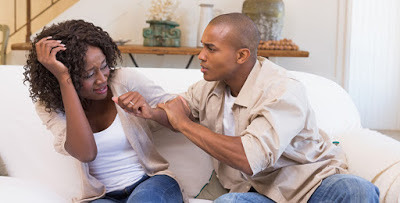 If these "loving" behaviors only benefit your partner and leave you feeling hurt, used and guilty, it is a sign that you need to get help immediately and get out of that relationship. Naturally, taking care of each other is one of the benefits of being in a relationship; meaning, "I want to take care of you" can easily look like love when it's really abuse. If one partner isn't allowing the other to work, get an education or save money, it is a sign of abuse. Abusers use phrases like, "I don't want you to work at a terrible job" or "we can't afford college right now" to blind you to the fact that they are controlling you. "Taking care of you" is a masquerade used to cut off a victim's access to education, work experience and income so that their partner doesn't have the resources to leave, making them dependent on the abuser. Sure, gifts can be a great way to show you love someone (in fact, it may even be your love language) but you need to be aware of how gifts are used. Is your partner giving you clothes to control what you wear? Are they paying your bills so that you're financially dependent on them? Are they giving you things when they apologize so you're more apt to look over their misdeed? Evaluate the reason why your partner gives gifts. If their intentions don't seem to be motivated by love, they probably aren't. Saying, "I want what's best for us"
Obviously this phrase can be filled with love, but when it's paired with inappropriate behavior, it's a form of manipulation. If your partner tells you he wants what's best for your relationship, honestly consider if it's best for you. For example, if your partner is asking you to give him money, to stop talking to your family or to stop hanging out with your friends in the name of the greater good for your relationship, he might actually be attempting to manipulate and control you. The media often depicts jealousy as cute; love is when people love each other so much that even an implication that their partner loves another rips their heart apart. However, it doesn't take long for small bits of jealousy to escalate to extremes. If your partner is frustrated when you talk to other men, reads your text messages or requests your social media passwords, his jealousy is abusive. Acting as though they'd "die without you"
Manipulating someone with the threat of suicide is never acceptable. Abusers threaten to commit suicide to get their partners to do what they want (like be intimate with them or not leave them). In these situations, it's important to report the concerns that they will commit suicide to a professional. You should never feel obligated to stay in the relationship. Doing things "because [they] love you"
If your partner is doing things you disagree with "for your own good" or "because [he] loves you" they are probably abusive. Love is never an excuse for abusive behavior. Love does not give someone else the right to decide what you can do, where you can go or who you can talk to. Love does not excuse inappropriate behavior because love is not an excuse.